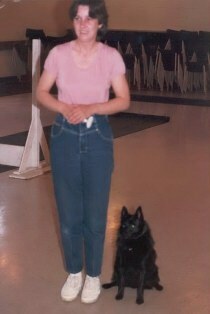 What is it like to live with a Schipperke? Well in our opinion, they are the best little housedogs in the world. They are smart, loyal, loving, friendly - the list goes on. However, they are not a dog for everyone. They require companionship - they are not a dog that can be relegated to the back corner and ignored. If they don't get your attention they will make sure to get it in ways that would not make you happy. An ignored Schipperke is a bored Schipperke - and a bored Schipperke can be destructive. And then they will get your attention but not in a proper manner. The best way to live with a Schip is to love it, play with it, teach it, in other words - make him or her a part of your family. They love to learn and excel at many doggie activities: obedience, agility, tracking, herding. They are a utility breed and it has been recorded that they are even excellent bird dogs. 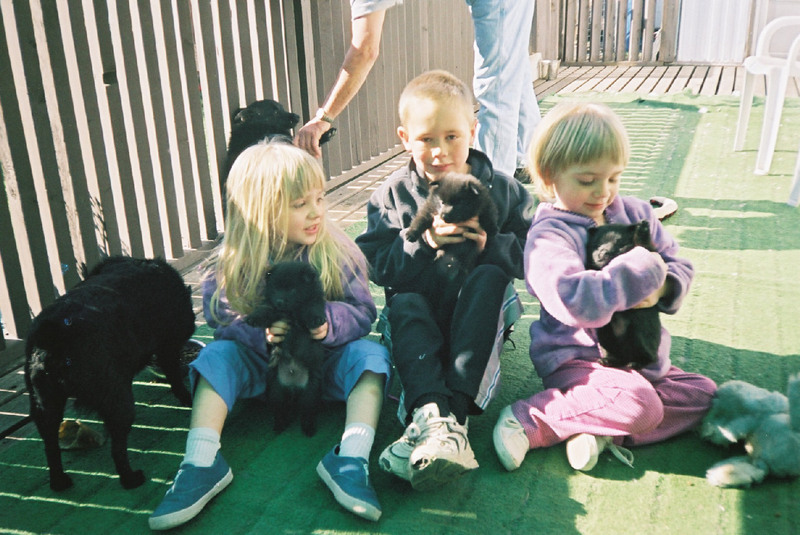 So if you are thinking about adding a Schip - make sure that you have the time for your new dog and plan on doing things with it as a member of the family. Some other great traits of a Schip: they are low maintenance in the grooming area. A regular brushing and clipping of nails, and a bath occasionally when dirty are all that is necessary. That beautiful ruff, cape, jabot and culottes grow there naturally. NO TRIMMING at all - except maybe the hairs between the pads of the feet. As for shedding Schips blow their coats seasonally - once or twice a year. In between they do not shed so you don't have to worry about hair all over your house. During the shedding time a good rake and pin brush will get out the undercoat and the guard coat will drop out. This process takes about 3 - 4 weeks to complete and then the new coat comes back in. Like to go camping, hiking, travelling?? Then a Schip is a good choice. They love to travel and visit. And they are small enough to fit in your car or motorhome without taking up too much space. They don't get car sick and generally are very well behaved in motel rooms also (properly trained). But it will be up to you as the owner to train your Schip to be well mannered and to pick up after your dog. Are Schips yappy - no, not generally. But again, you must start at a young age to teach you dog that a bark to alert you to a stranger is okay - and then they must settle and be quiet. Anything you teach your Schip is learned easily and not forgotten. If you want to have a wonderful companion that is easy to live with then train your puppy, just as you would your child, and you will have many, many years of enjoyment, love and companionship with your Schipperke. A Schip can live up to 17 years of age or in some cases even more. So you will have them a very long time. Please check out the following pages on how to contact a breeder in your area and be prepared for lots of questions. Most breeders want the best lifelong homes for one of their Schip babies. 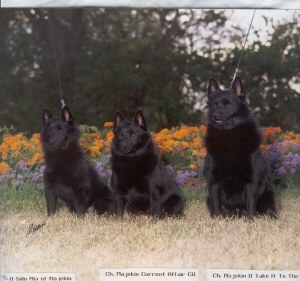 And our Schipperkes deserve it.